When you need dependable washer repair services in Boulder City, NV, Appliance Repair Experts is here to assist you. Our washing machine repair technicians near Boulder City are license and insured to work on a wide range of brans, models, sizes, and styles of washers and dryers. Whether you need a quick fix or a complete washer restoration, we have the experts on hand to get the job done right the first time. Trust in our experts to repair your private, commercial, or industrial washing machine. If you are experiencing these problems or any other issues with your washing machine, speak to one of our technicians today. We are available Monday through Saturday from 8:00 a.m. to 5:00 p.m. to ensure that you are properly taken care of. Call Appliance Repair Experts today at 702-515-1515 to schedule your inspection. Make sure that your washer is fully plugged in, especially after an uneven load. Sometimes the machine can jostle around enough to unplug itself from the wall. Check the fuse box that goes to your laundry room to make sure the washing machine is still getting power. Bad storms and power surges can easily trip the breaker, but all you need to do is shut it off and flip it back on. Balance out your load if you notice your washing machine start to rock violently back and forth. The spin cycle is designed to get as much water off your clothes as possible, but it can jerk around if the clothes are not balanced well inside. Check for socks, undergarments, strings, and other pieces of clothing that may be stuck underneath the agitator. This could cause it not to spin as effectively as it is supposed to. If the options above do not work or you simply want a second opinion, you can contact one of our washer repair technicians near Boulder City, NV to fix the problem for you. Appliance Repair Experts has been in business for over 30 years, serving homes and businesses in the Las Vegas community and surrounding areas. We have an A+ rating with the Better Business Bureau because of our commitment to excellence and high quality standards. 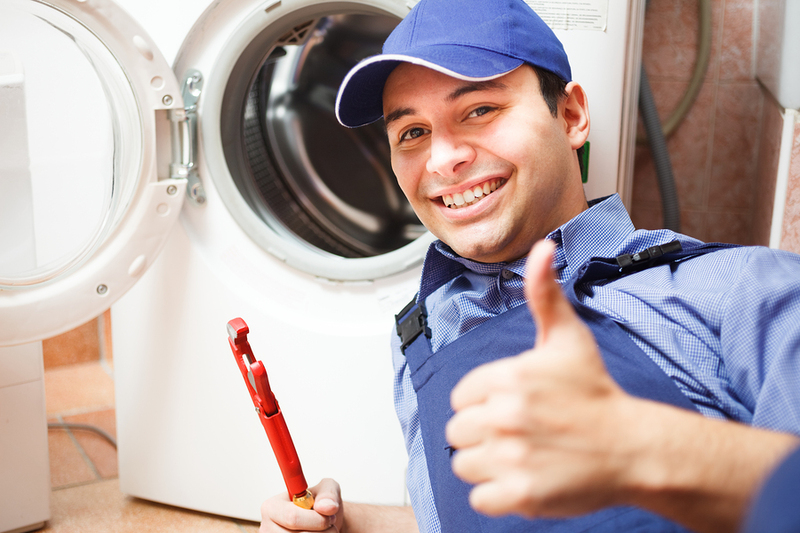 You can count on our fully licensed and insured washing machine technicians to repair your appliances in no time. You can also call on us when you need professional washer installation. Reach out to a team of experts you know you can trust. We look forward to working with you!